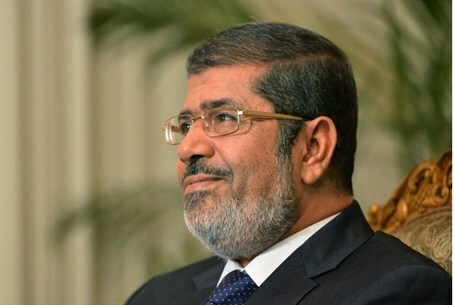 Egyptian President Mohammed Morsi calls parliamentary elections starting April 27. Egyptian President Mohammed Morsi on Thursday called parliamentary elections starting April 27, according to a presidential decree. Voting will take place in four stages with the new People's Assembly invited to convene on July 6, according to the decree which was quoted by AFP. The election comes at a time when Egypt is gripped by unrest, insecurity and a crippling economic crisis and the country is deeply divided between Morsi's mainly Islamist supporters and a liberal-led opposition. According to the decree, the first stage of voting will take place in five provinces, including Cairo, on April 27 and 28, with a run-off scheduled for May 4 and 5. The second stage will see eight provinces going to the polls -- including Giza and Alexandria -- on May 15 and 16, with a run-off a week later. Another eight provinces will vote on June 2 and 3, with a run-off scheduled for June 9 and 10. The final stage of the parliamentary election will see six provinces voting on June 19 and 20, with a run-off on June 26 and 27. The election comes after the adoption in December of an Islamist-backed constitution, widely criticized by the opposition and international rights groups for failing to protect key rights. Earlier on Thursday, the Shura Council, the upper house of parliament that currently holds legislative power, adopted an electoral law that was amended by the Constitutional Court and sent it up to Morsi for ratification. The law bans members of parliament from changing their political affiliations once elected. It also states that one-third of the seats should be reserved for independents. Under ousted president Hosni Mubarak, independents who won seats often joined the president's National Democratic Party following their election, widening the ruling party's monopoly on power. The lower house was elected early last year, with Islamists winning an overwhelming majority. But in June the Supreme Constitutional Court ruled it invalid, saying there were irregularities in the electoral law. The Muslim Brotherhood's Freedom and Justice Party (FJP), which Morsi headed before his election, said it expected to win more seats in the next election than in the previous vote, in which it clinched about 40 percent of vote. The Brotherhood has faced hostility from a wide-ranging opposition, including conservative Islamists, which accuses the group of monopolizing power. Egypt has witnessed violence, insecurity and price hikes, fuelling political turmoil already plaguing the country. Protests by Egyptians who accuse Morsi of betraying the revolution that brought him to power, have often turned into violent and sometimes deadly clashes with police.